Foto LaPresse - Marco Cantile30/01/2015 Napoli, ItaliaCronacaMaltempo e mareggiata nel golfo di Napoli. 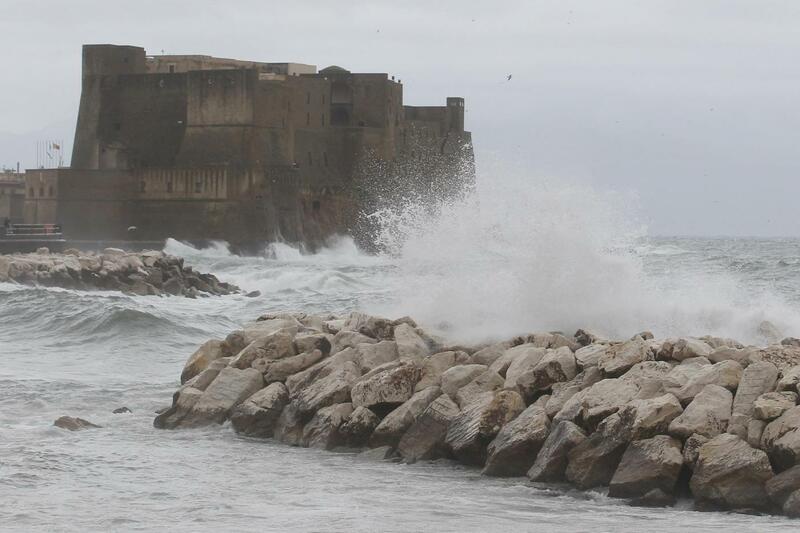 Sospesi i collegamenti con le isole.Photo LaPresse - Marco Cantile01/30/2015 Naples, ItalyNewsBad weather and sea storm in the Bay of Naples. Suspended links with the islands.